Lighting is one of the best ways to make a real impact in the home and our collection of chandeliers is the perfect starting point! 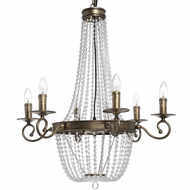 Choose from simple, modern designs or make a statement with our show-stopping ornate style chandeliers. Whatever you're looking for, we're guaranteed to have the perfect lighting for your home. 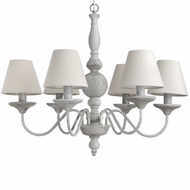 Sometimes you don’t just want your lighting to be unobtrusive, you want it to stand out as a focal point for your décor. 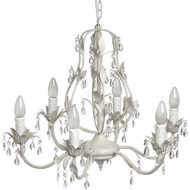 If this is your way of thinking, then the ornate style chandeliers from Baytree Interiors will be right for you. 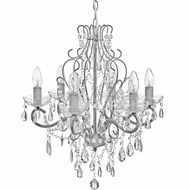 With designs ranging from simple, single-tiered chandeliers built for functionality and style to eye-catching, multi-tiered crystal constructions, you’re bound to find something to suit your tastes and budget. And you'll be pleasantly surprised by our prices. 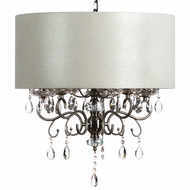 You don’t need a fancy home or big rooms as our chandeliers are extremely versatile. 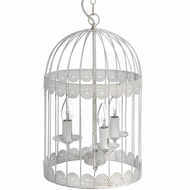 They will blend with the décor of most houses and add an extra dimension of elegance and sophistication. Add statement lighting to your home with our ornate style chandelier collection today, don't forget - we also offer a wide range of table lamps and bulbs too!